No specific connection has surfaced between terrorists belonging to the Islamic State of Jammu & Kashmir, or ISJK, an outfit influenced by ISIS ideology, and the terror groups operating in Iraq and Syria. Minister of State for Home Affairs Hansraj Ahir said this in Delhi on Tuesday. While seven local youths had been earlier reported to have joined ISJK through self-proclamation, only one of them is currently active in the Valley, according to the ministry. Four terrorists were neutralised on 22 June 2018 at Khiram Srigufawara in Anantnag, and two others were arrested, Ahir said in written reply to a question in the Lok Sabha on Tuesday. In August 2018, the minister had said in Parliament no ISJK terrorist was currently active in Jammu and Kashmir. Until the gunning down of four terrorists on 22 June 2018, Ahir had said, the extent of ISIS presence in the state was limited to waving the terror group’s flag and that of Pakistan. There were eight such cases in 2015, 31 in 2016 and five in 2017. Ahir had claimed appropriate action under the law had been taken against those involved in waving ISIS and Pakistan flags. 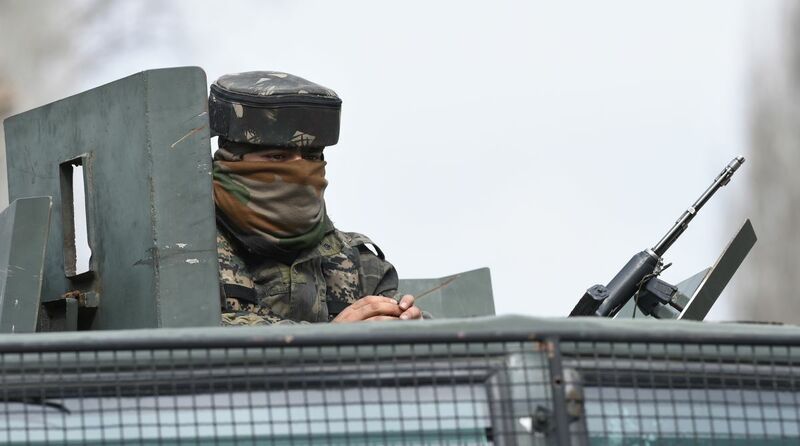 On Tuesday, Ahir also listed the incidents of instances of unprovoked firings and ceasefire violations by Pakistan at Line of Control (LoC) and International Border (IB), and said the Indian Army and BSF personnel carried out immediate and effective retaliation. Between 2017 and 31 January 2019, there have been 3327 incidents of ceasefire violations and cross border firings. As many as 19 soldiers lost their lives and 69 sustained injuries during this period, the minister said. Ahir also listed the measures taken by the government to check ceasefire violations by Pakistan. These included “proper defence preparedness” on the International Border and regular interaction with the people living close to the border, he said. Also, the minister added, all violations of ceasefire were taken up with Pakistan authorities through established mechanisms.